David Rensberger is retired from teaching the New Testament at the Interdenominational Theological Center in Atlanta. He continues to write, preach, and lead retreats and workshops. David was raised in a small Mennonite church in Indiana. He and his wife Sharon have been members of AMF since 2004. To pray “May your reign come, your will be done” means that . . . we are praying for God to begin enacting the divine will on earth now; and we are committing ourselves to being part of it. This post is by David Rensberger, adapted from his sermon of 1/22/17. Over the centuries, Matthew 5:9-13, or something close to it, has become “the Lord’s Prayer” for most Christians. (You can find it here.) So what is it that this prayer actually prays? “Our Father in heaven” reminds us that the One to whom we pray bears the kind of love toward us that parents bear toward their children (even if we think of God as beyond gender). We are not praying to a taskmaster, an accountant, or a general. “Hallowing” God’s name, proclaiming its holiness, is an act of worship, often found at the beginnings of Jewish prayers (something like the opening of Psalm 103: “Bless the Lord, O my soul, and all that is within me, bless his holy name” [NRSV]). But it is also a prayer that God will fulfill promises and hopes such that people will declare the holiness of the divine Name. The word “heaven” has some interesting undertones in the gospel of Matthew. Here, heaven is not just the place where God lives and we go when we die. It is a symbol for God and God’s ways—ways that stand in contrast to current human arrangements on earth, in particular the Roman Empire, which Matthew and his readers experienced as the arch-opponent of God’s will. The coming of God’s reign is the central theme of Jesus’ mission. It means the arrival and fulfillment of those heavenly ways, of God’s vision for the human race and all creation. To pray “May your reign come, your will be done on earth as it is in heaven” means that we ourselves must give consistent attention to this “heaven” in the midst of our earthly lives. Such praying calls us to live “not conformed to this world,” as Paul puts it (Romans 12:2), and especially not to the great Empire. “May your reign come, your will be done” is not a request to be fulfilled only in a far-off end time, any more than “hallowed be your name” or “give us this day our daily bread.” We are praying for God to begin enacting the divine will on earth now; and we are committing ourselves to being part of it. “Forgive us as we forgive”: for Jesus, forgiveness is a kind of economy. Forgiveness must circulate among us and our God like money or oxygen; it is the coin of the Realm of God, the air that those who live there breathe. Forgiveness as Jesus teaches it means that we see others not only as God sees them, but also as we hope God sees us. Praying not to be brought to “the time of trial” (NRSV) is very different from praying not to be led into “temptation”! We are not asking God not to tempt us to do something wrong (why would God do that? ), but not to put us to a test of character or faithfulness that is beyond our power. 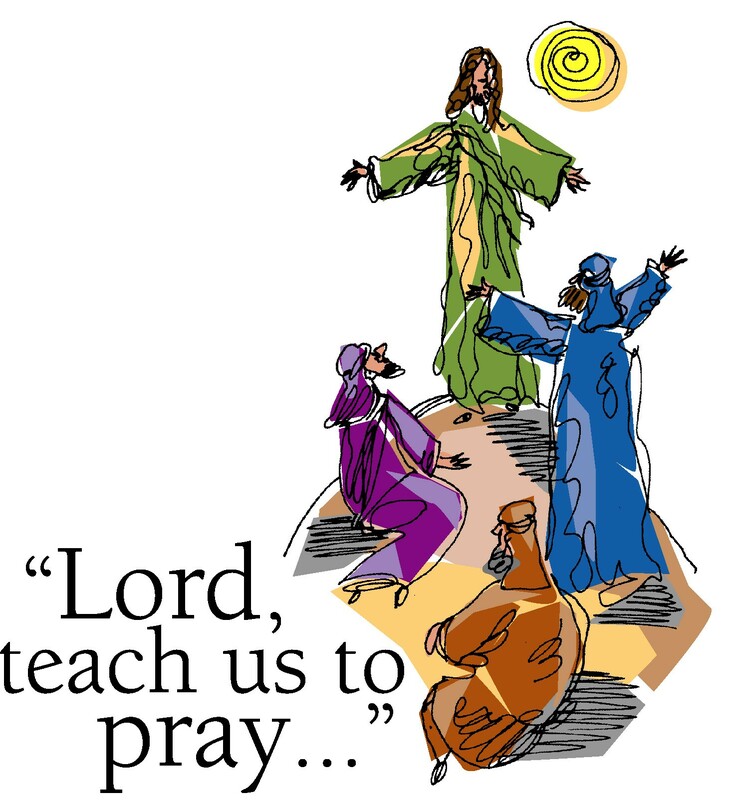 This is what Jesus urged his disciples to pray in Gethsemane (Mark 14:38; Matthew 26:41; Luke 22:40, 46). We are praying not only to be brought through personal temptations, but to be able to take part in God’s mission for freedom and justice and peace without fearing harsher consequences than we can bear. We have a right to pray not to be put to the test; yet the ultimate prayer is “your will be done”—as Jesus himself prayed in Gethsemane. When we also pray to be rescued from the evil one, or from evil, we avow our opposition to that which opposes God. Surrendering to God’s will, praying for God’s will to be done, also expresses our allegiance to God, in contrast to the Empire and other evil structures. So does the prayer that dominion and power and glory may belong to God throughout all ages—to God, and not to the human beings who are never able to seek these things for themselves without acting destructively toward God’s creatures, including other creatures who are also created in God’s image. I want to close with some thoughts on how we might pray the Lord’s Prayer in this particular time. We too live in an empire, now governed by people who very much want it to remain so—many of them under the impression that the God of Jesus Christ would have it that way. I disagree; and I believe that the Lord’s Prayer can serve, among other things, as a focal point for such disagreement. When we pray for our daily bread, we then must share our bread with those who have none, and create structures of sharing for food and health and home. When we pray to be spared the time of trial and rescued from evil, we recognize that the movement of God’s will within the empire will be resisted. When we pray for the reign of heaven to come and for God’s will to be carried out on earth, we are praying that the empire be undone. Not by violence or hacking, but by the rise and spread of communities in which the alternative vision of human life that the gospel calls “heaven” is lived out. In this vision, there are no illegal immigrants, because all the earth is one commonwealth under God. Lives matter—and therefore lives that have been most at risk are the most treasured and most protected. There are no celebrities, no stars who can get away with anything, because the last are first and the lowliest are most respected. There is no denial of wrongdoing, no hiding it or spinning it as an innocent mistake—because there is forgiveness, shared as freely as a cup of cold water with someone who is thirsty, in the sure knowledge that it must go around if it is to come around. In the vision that inspires the Lord’s Prayer, the empire is dissolved, supplanted by the dominion of the One whose name is hallowed, the One to whom power and glory truly are due, forever and forever.